Happy Birthday to Tony Kanal!! Happy birthday to Adrian Young!!!! I hope you have an awesome day!! Also, happy belated birthday to Stephen Bradley!!!!! His birthday was the 23rd, and I haven’t had a chance to post ’till now. Tom recently posted a trailer for the film “Midway” on his blog. I was happy to see this, because it’s a subject that I have strong opinions and feelings about. 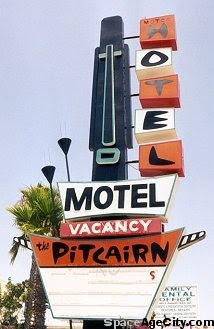 I used a Motel in Anaheim to get the right lettering for my bands logo. It’s got two themes of letter to give a cartoon flavor. Gwen the singer of the band want the logo set in flames. I thought it made it more Heavy Metal but I tried to make the flames “flat” and “stylize” to work with the logo from the album. I was very disappointed that after spending so much time on it to find out after handing the artwork over to the person in charge of the art that they carelessly retraced my artwork in the computer. It came out wobbly and was not accurate to my hand inked artwork. It still makes me sad that this was the best they could come up with. “To make room for new stuff, No Doubt’s touring crew recently went through the band’s warehouse and cleared out a bunch of gear, equipment and props the band no longer need. These items are being listed on eBay here by seller dvamp2u (the only legitimate seller of this gear). A number of items such as amplifiers, keyboards, rack/outboard gear, guitar effects, pedal boards, staging, props, back drops and road cases will be listed over the next few weeks. Check the eBay page regularly for new listings. Unless specified, we cannot identify which (if any) tour these items are from, nor can we accommodate any requests to get items autographed or authenticated (please do not ask). More information can be found in the descriptions of each item. 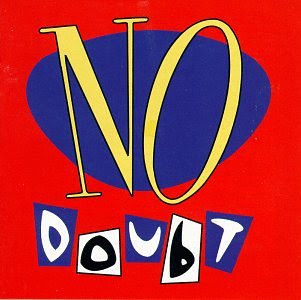 Thanks to EIT for posting: No Doubt has a new photo shoot and article in the UK’s Q Magazine!!!!!! The photos are studio shots, and are awesome! You can see the scans, and the article transcription at EIT’s site here. 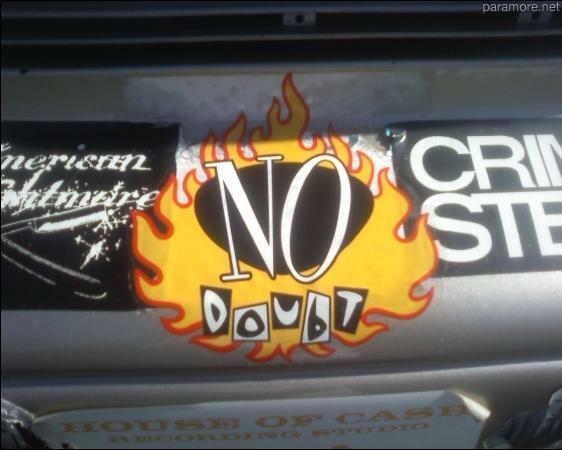 You are currently browsing the Greener Pastures – a No Doubt fan site archives for August, 2011.